‘Last Train Out’ Officially Top 10! 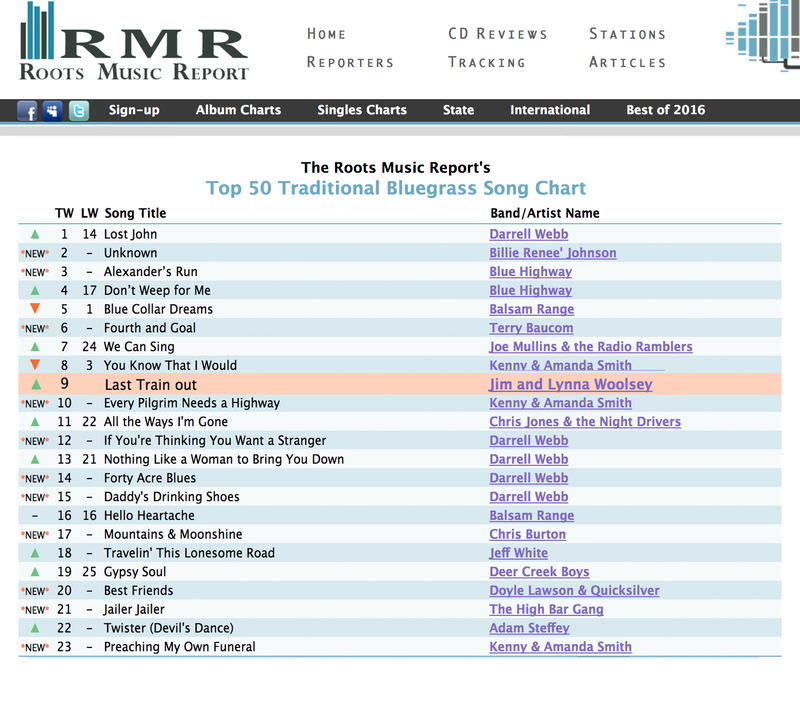 Moonlit Pond Records is so pleased to tell you “Last Train Out”, a song penned by Nancy Beaudette and Jim & Lynna Woosley, is officially a TOP TEN SONG on the February 2017 Roots Music Report! The inspiration for the song “Last Train Out” came from Lynna’s memories of her mother Elsie. She took the train many times during her youth, and later in life when she fell ill with Alzheimer’s, would ask if it was time for the train. She lost her battle in 2013 but her memory lives on in this song. Jim and Lynna’s 2016 release,“Heart and Soul, Blood and Bone”, has garnered top placement on bluegrass, americana and folk radio all across the US and Canada. It’s a fabulous album, available on itunes or directly from the artist’s website.